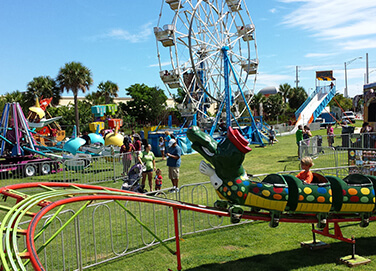 With over 60 years of experience in the carnival industry, we know how to create the best community festivals in South Florida. Community events are a wonderful way to bring all walks of life from the community together. At Celebration Source, we can help make a community event even better with a fun and engaging atmosphere. Our attractions, games, carnival food, inflatables, and mechanical rides are sure to provide enjoyment for both kids and adults! No matter how big or small your community event may be, we will work to make it the best, providing the CLEANEST, QUALITY attractions with RESPECTFUL and FRIENDLY STAFF. Contact us today to get a quote and see what we can do to make your community event that much better!